Second Sun™ is a flameless catalytic tank heater designed to safely and efficiently augment natural vaporization in propane, LPG and anhydrous ammonia storage tanks. 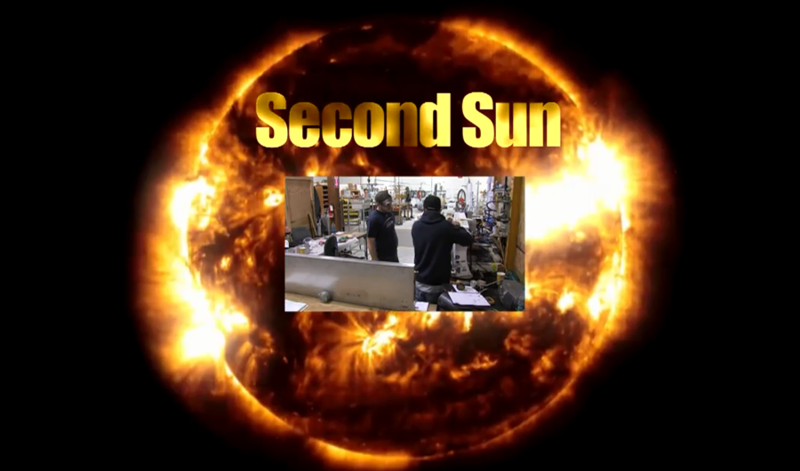 When our environment is unable to supply the needed energy, Second Sun is an ideal solution! No Flame − no source of ignition! The SECOND SUN is a propane tank heater that operates based on tank pressure. The tank heater utilizes an adjustable operating pressure switch with a range of 55 psi − 100 psi. When the pressure in the storage tank falls below the operating switch set point the heater will cycle on providing heat (energy) into the liquid stored in the tank. When the pressure requirement is satisfied, the tank heater reverts to a standby mode. An integral 12V DC heater is used to initially start the SECOND SUN. After being started, the power source is no longer required. Catalytic heating is a flameless process that involves chemical reactions aided by a catalyst. The reaction starts on an electrically heated catalyst surface causing complex molecules to rearrange as simpler molecular structures.The primary byproduct of this catalytic process is heat. Second Sun emits this heat against the surface of the tank as infrared waves similar to a radiant heater. This warm, low intensity heat mimics the energy from the sun. Since catalytic heating is flameless, Second Sun meets hazardous location requirements. Second Sun’s typical application involves maintaining tank pressure, or equilibrium pressure, as vapor is extracted. Consequently, the unit’s ‘ON’ cycle is activated based on storage tank pressure. As vapor is consumed or the ambient temperature drops, tank pressure is reduced. Second Sun is activated ‘ON’ when tank pressure falls below approximately 50 PSIG (3.45 barg); Second Sun returns to standby when pressure is restored to 60 PSIG (4.14 barg). Second Sun requires no AC electricity! Startup power for the catalytic reaction is provided using “jumper cables” integral to the unit to supply 12 VDC from a service vehicle battery. After startup, sufficient voltage to operate the gas security valve is ‘self-generated’ by employing a physical phenomenon known as thermoelectric effect. This technique provides direct conversion of temperature differentials to electric voltage. The heater is comprised of an integrated “pilot” and “main” heater. The pilot heater starts the catalyzing process; the main heater provides operational heat. It could not be simpler! Two temperature safety switches — upper and lower — both integral to the Second Sun, monitor the tank surface temperature and control the heater output. When the liquid level in the tank drops below the location of the upper switch on the tank surface, the main heater will switch to stand-by mode. If the liquid level in the tank drops below the location of the lower switch the heater will shut off entirely requiring manual restart. If the pilot heater temperature drops below the temperature necessary to catalyze the fuel, the catalytic reaction ceases and the heater will automatically shut down, again requiring manual restart.